Does cabin fever have you and your pup howling for some activity? 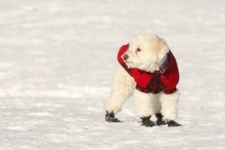 Check out these tips for keeping your dog active during a Chicago winter! Chicago is infamous for its brutal winters, from the frigid temperatures to the immense snowfall. For dog owners, the prospect of keeping your dog active during winters in Chicago can feel like a daunting task. Regular activity is crucial to your dog’s wellbeing, so check out some of our tips for keeping your dog active in winter in Chicago. Generally, the rule for weather extremes for your dog is if it’s too cold for people, then it’s too cold for dogs. Checking weather advisories prior to an outdoor trip keeps you informed of weather alerts and warnings, and will help prevent unnecessary safety hazards for your dog. 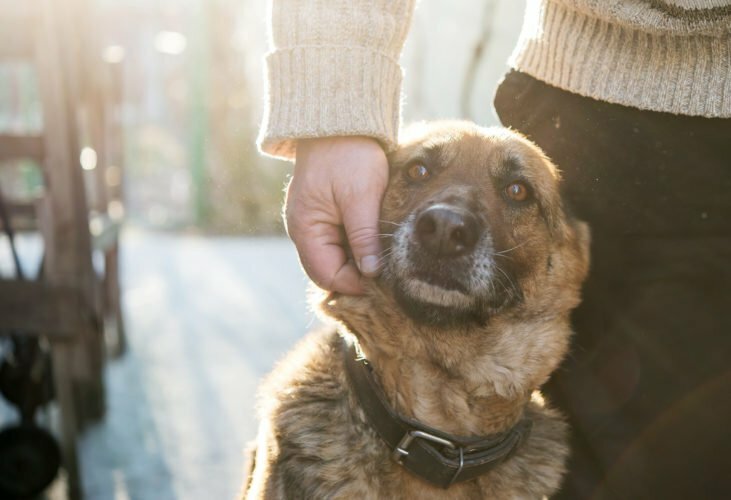 To ensure your dog stays active throughout the winter in Chicago, it’s important to protect their paws from the environmental factors that come with cold weather. The salt used on walkways can be harmful to pads and can irritate the area between their toes. Pet owners should have their dog walk in snow rather than the salted walkways, use a paw protectant prior to walks, or invest in dog booties. Don’t forget about protecting your dog’s fur as well. While it can be tempting to substitute regular outdoor trips with just a handful of all-out excursions, it’s important to limit your dog’s outdoor time during the winter. 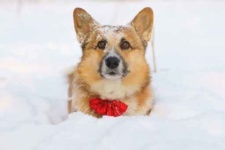 Not only will you diminish the chance of frostbite, but you will help to keep your dog enthused about being active in winter. A common misconception about dogs is that there is only a chance of dehydration during warmer months. The fact is that regardless of the season, dogs should remain hydrated whilst exerting energy. Fresh water should be provided to allow for an active dog, and you should discourage your dog from ingesting snow. Chemicals found in ice melting substances can be harmful to animals, and eating snow can slightly lower body temperature. Not all activities for dogs are limited to the outdoors in Chicago. 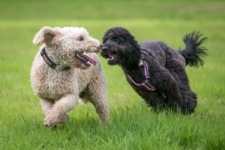 Take advantage of some of the indoor dog parks, or even enroll your pet in an indoor agility class. 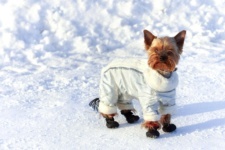 This is a way to keep your dog active in winter without subjecting them to the elements. 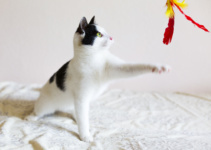 Simple training exercises can be a great way to create indoor activity for your dog, regardless of how small your living quarters may be. Simple sit and lie down commands can be used for “doggie pushups,” and hide-and-seek games can be a great way to create an indoor exercise that lets owners interact with their dogs in a fun and safe atmosphere. 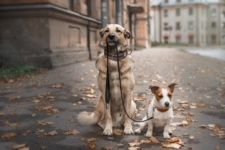 Dog owners might be surprised at how many shopping centers and stores allow customers to bring in their pets. From the downtown Nordstrom’s Mall to the local pet store, bringing your dog with you during winter shopping adventures is a great way to keep them active and enjoy some quality time together. While many people can feel perfectly content staying predominantly indoors during a Chicago winter, dogs don’t have the luxury of being able to hibernate when it’s cold. Take advantage of some of the tips that go along with maintaining an active pet, and ensure your dog’s wellbeing throughout the year. Get social and follow us!